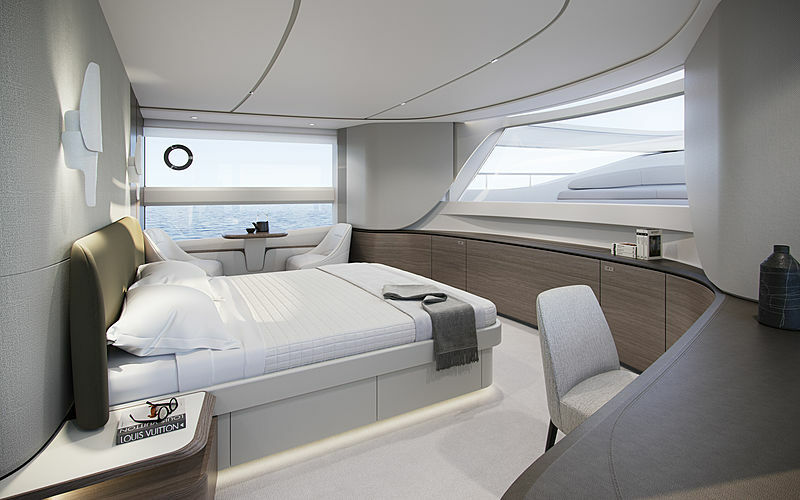 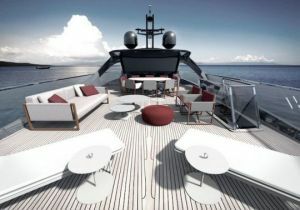 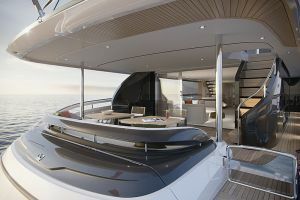 This is truly a new flybridge concept that will generate a lot more interior space 40% and about 10% more outdoor space. 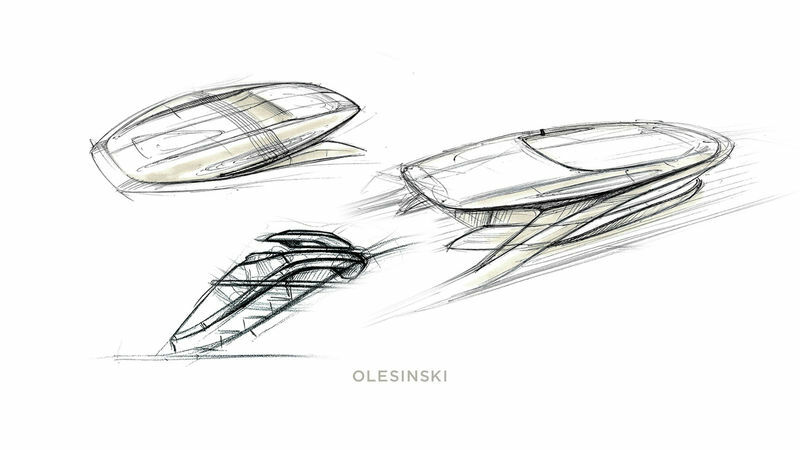 The V of the hull will be more pronounced which will give a better stability and a better efficiency (about 15%). 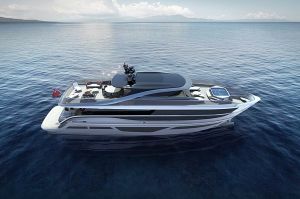 Thanks to this new hull design, it should be more economical to navigate. 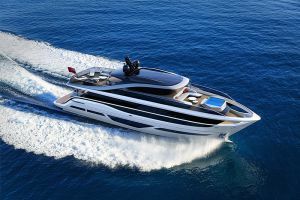 It is expected to be powered by MAN V12 engines and shafts. 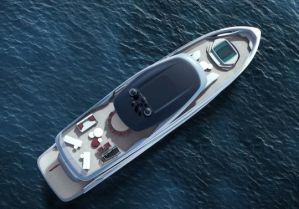 The fuel tank will have a capacity of more than 13,400 liters. 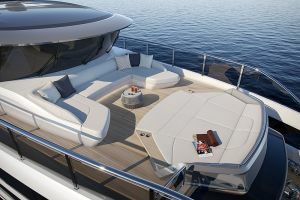 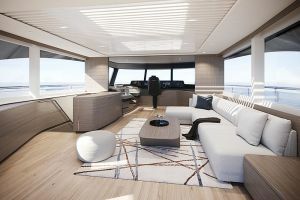 You will now have two external entrances for the flybridge, the traditional staircase from the cockpit but also two stairs from the bow. The design will be very oriented on very large windows to create a very open atmosphere and give the impression of being very close to the water. Several interior configurations will be possible, always with the concern of the open space. 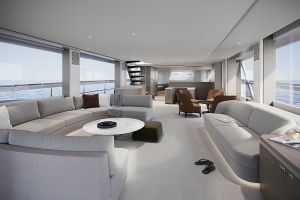 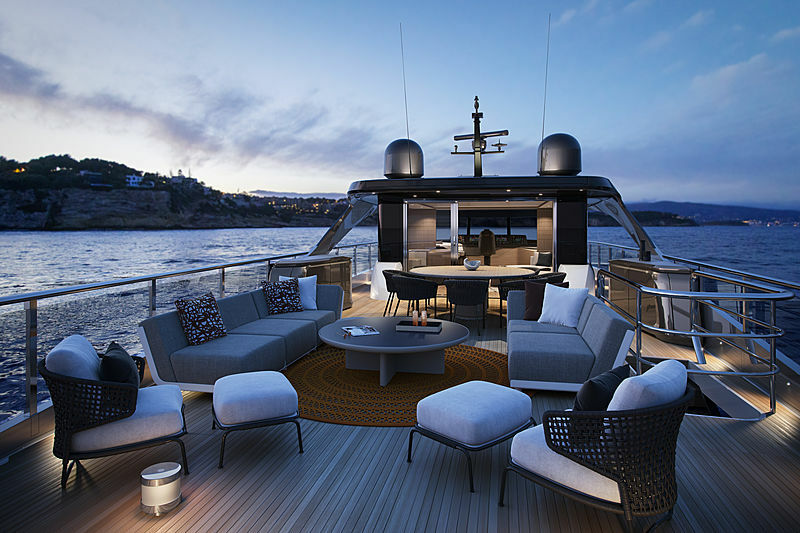 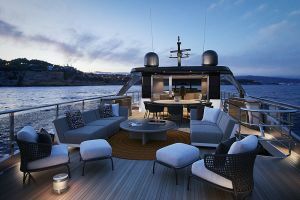 The 5 bedroom configuration with that of the owner on the main deck will also be possible. 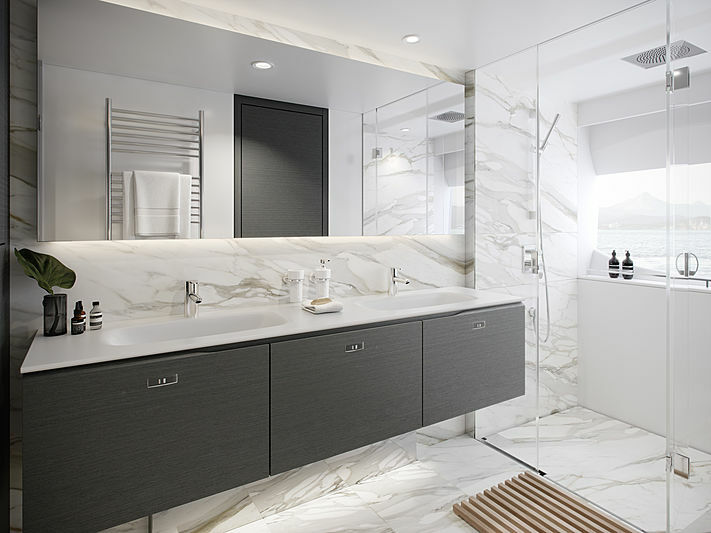 But you can also opt for a large space will have main. 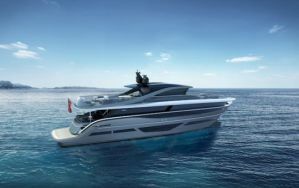 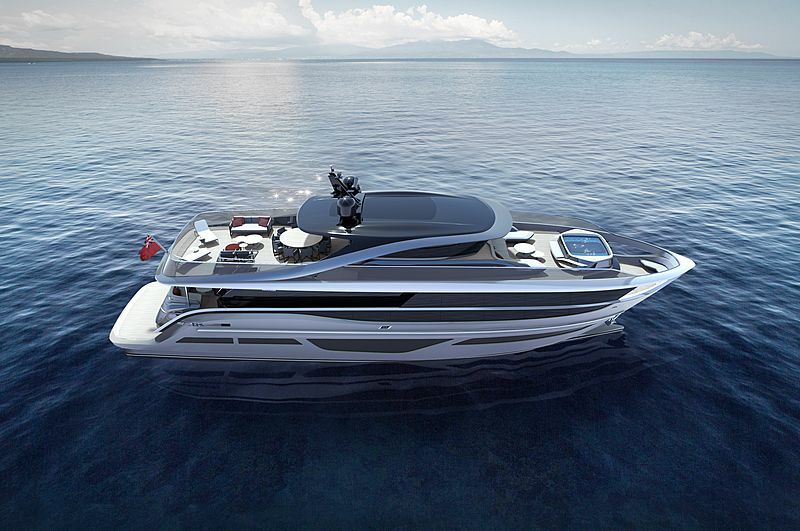 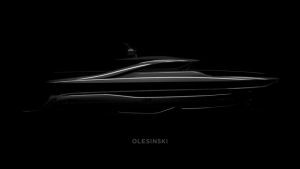 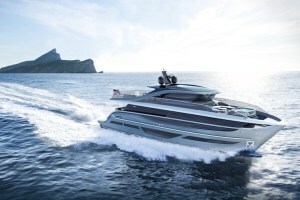 The flybridge will be really big, for the 95-foot model, it will have a range of 72 feet. 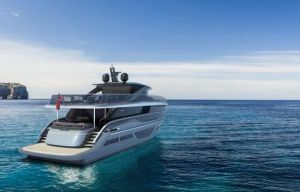 The Plymouth yard, England has decided to innovate, invest a lot in research and development to produce a new generation of flybridge that will appeal to all boaters more and more demanding in search of true innovation. As soon as additional images are available, we will add them. 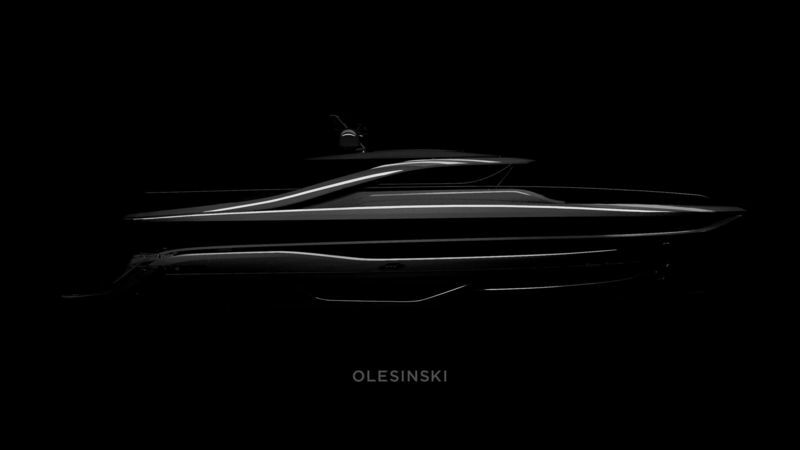 This is the link with new animation video for this new Princess X95.